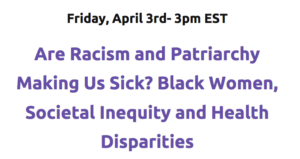 This is Part I of a two-part article on racism, health, and the high incidents of maternal and infant deaths and premature births among Black women in America. Racism is getting away with murder as the leading cause of maternal and infant deaths and premature births among Black women. Such is the conclusion of two major reports released this year in 2018. The first is a collaboration between the University of California San Francisco and California Department of Public Health; theirs is a report on “California’s Maternal and Infant Health Assessment” presented in July, 2018 to First 5 California, a state-wide commission aimed at improving the lives of women and children. 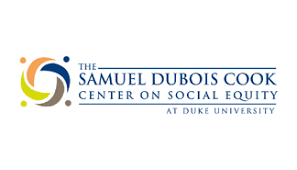 The second report is based on research by Duke University’s Samuel DuBois Cook Center on Social Equity and Insight Center for Community Development’s study called “Fighting at Birth: Eradicating the Black-White Infant Mortality Gap.” We know that data doesn’t lie, or so all the CSI and forensic television shows assure us. It was once thought that the most significant factors in deaths among pregnant women or the cause of premature births were so-called “risky behaviors.” The most obvious adverse behaviors included smoking, alcohol abuse and drug use. Long-term studies showed that a reduction in risky behavior and increasing women’s access to education and employment opportunities shifted maternal and infant outcomes. It was proven that if women received more education and enjoyed economic security through employment, they were less likely to engage in behaviors that placed them and their unborn child at risk. That is no longer the case. Both the UC San Francisco and Duke reports blow that thesis out of the water. What the studies revealed was that assumption of positive health outcomes for mothers and infants through a reduction in risky behaviors and improved socio-economic status was certainly true, but only for white women. For Black women, not only is this assumption proven false, but what the Duke study made crystal clear was that Black women with higher education and more economic success were at an even greater risk of early death for them and their infants during pregnancy and were more likely to deliver prematurely. Serena Williams and the premature delivery of her first child illustrates the major findings of both reports. At the time of her pregnancy, Williams was an athlete in great physical condition; she had no evidence of “risky behaviors” and had access to the best medical services. What then caused her to give birth premature? Was it just a fluke, or did her premature delivery prove the case that these studies are making? Was racism, and the accumulated stress, of being publicly denigrated, a recipient of unequal treatment, and accumulation of encounters with racism, responsible? It is rare for a scientific study to make such a provocative declaration that racism is the primary cause of maternal and infant deaths and premature births for Black women. And, even rarer for researchers grounded in data to declare unconditionally and with emphasis, “there is no safe age for Black women to have children.” That is such an all-encompassing pronouncement and leaves little room for misunderstanding. Moreover, each report is certain about the cause. While such a conclusion seems counterintuitive, it points to the everyday reality of professional Black women. While working in high profile professions or in leadership positions may improve their socio-economic status, a side-effect is that more often than not, they find themselves working in hostile work environments that contribute high levels of stress to their lives. Additional stress may emanate from the fact that professional women often live in predominantly white communities where they may not experience community support and acceptance. In other words, at work and at home, they are in direct contact with high levels of micro-aggression, targeting, exclusionary behavior, and overt racism. We witnessed this with Serena Williams. © 2018 McClaurin Solutions. Cannot be reprinted without author’s permission. Irma McClaurin (irmamcclaurin.com) is an award-winning columnist, activist anthropologist and consultant who was associate vice president and founding executive director of the University of Minnesota’s first Urban Research and Outreach Engagement Center (UROC) from 2007-2010 and president of Shaw University from 2010-2011. She resides in Raleigh, N.C.